Just a quick update to say that classes are filling up fast. Photography, Spanish for Beginners, Watercolour Workshop, Learn to Knit & Crochet, Furniture Upcycling and the Thursday Sketch, Draw & Paint classes are already full, and others are close behind. 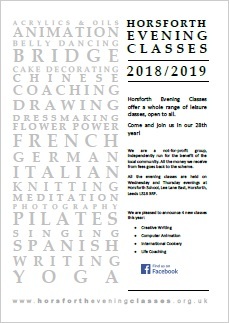 Please keep an eye on the classes webpage for more updates.